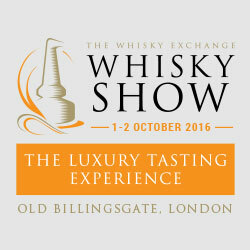 Official news from the Springbank Society on the new bottlings I tasted at the Whisky Show! Nose: This whisky has a real Springbank nose, earthy, peat with a salty coastal influence. nutty shortbread. This is a lip licking whisky, oily and chewy. Finish: The finish is long, smooth and complex with a lingering sweetness and saltiness. This has been matured in a combination of bourbon and sherry casks before being married in port casks for the final few months of maturation. It has been bottled at 46% ABV and is limited to only 1,200 bottles for worldwide distribution. The price of this is £350.00. Palate: The port wine influence is perfectly balanced with flavours of sherry, plum jam, blood oranges and pink grapefruit. Finish: The finish is long, soft and elegant, with earthy, peaty and woody qualities. Kind of knacks me off, that after tasting the goods at the whisky show, our Ben then uses cut'n'paste from the official tasting notes! Whats the point of that? I can find the official tasting notes at the distillers website. Drinks by the dram, Christmas Crackers! SMWS November Outturn PART ONE!